Want to improve your fitness, strength and feel great too? Join us at the Lloyd Centre, Kingsport! Beginner or more advanced, we have something for you! Monday, Wednesday and Friday 9 to 10 a.m. A combination of cardio and strength training for all ages and abilities. Circuit training at Friday class. Drop-in fee: $4.00 a class. Instructor: Christine Heap. Thursday 9 to 10 a.m. Beginning Nov 7th. For beginners and/or seniors and others in the community who need a gentle, daytime class. Yoga helps stretch and strengthen all the major muscles, increases range of motion at the joints and eases back pain. A co-ed class, open to everyone. $30 for 6-week session. Instructor: Jennifer White. Tuesday & Thursday: 5:30 to 6:30 p.m. Progress through 12 or more stations in one minute exercise intervals. Designed for all abilities and ages; co-ed. Drop-in fee: $4.00 a class. Instructor: Irene Burrell. Monday 6 -7:15 p.m. and Wednesday 7 – 8:15 p.m. Stretch and Strengthening Yoga. Please bring firm blanket and mat. Beginners are welcome. Modificationsare used to adapt to all levels and abilities. Co-ed classes. New sessions begin on Monday, Oct 21 and Wednesday, Oct 23. Each session is $45 for 6 classes or drop-in fee of $10.00 a class. Instructor: Melanie Amos. Check out our blog: kingsportfitnessandwellness.blogspot.ca for updates and changes. 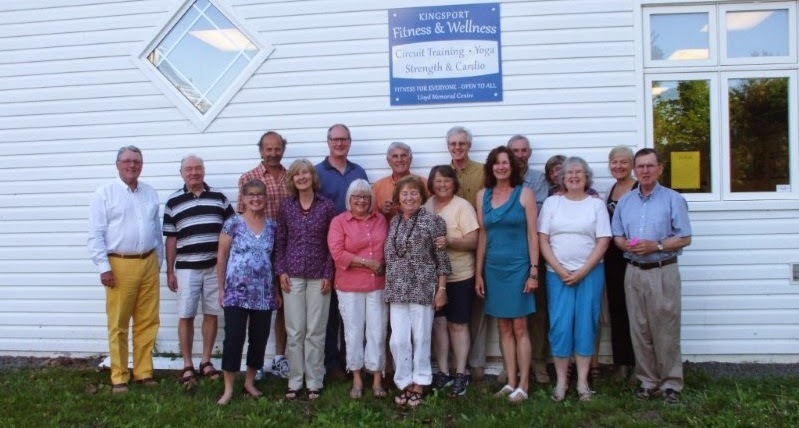 **Join the Kingsport Fitness & Wellness Society: membership: $5.00/year includes a 10 % discount at Sport Chek and an opportunity to contribute your ideas and suggestions. New members always welcome.